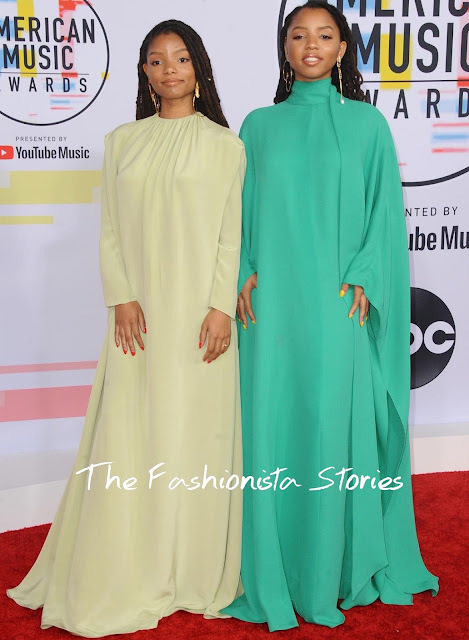 When it comes to their style, you can always catch Chloe x Halle in coordinating looks. The two presented this evening(October 9th) at the 2018 American Music awards at the Microsoft Theater in LA. 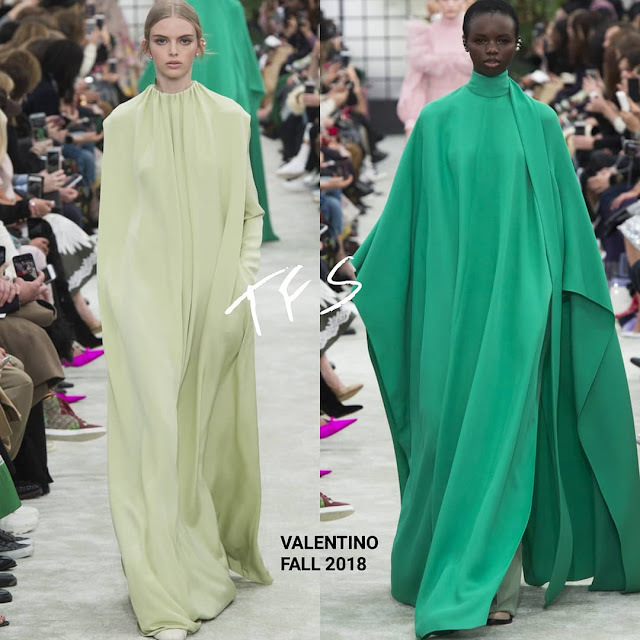 Both singers were wearing VALENTINO FALL 2018 & MISHO jewelry. Halle Bailey wore a yellow long seeve dress which was teamed with PIERRE HARDY sandals. Her beauty look was flawless but I can't help but wonder how this would have looked on her if it was belted. Chloe Bailey wore a green high neck, cape dress which has the same shape as Halle's dress. Her dress was accessorized with GIUSEPPE ZANOTTI sandals and her beauty look was flawless as well. Love the color but the dress feels a tad overwhelming on her. I wonder if a belt could have worked here as well. Overall, they are beautiful and I love the color but this feels a tad too mature for them. Do you think a belted waist could have worked here?